In collaboration with New Jersey Motor Truck Association, One Eleven Logistics LLC donated 2 trucks for wreaths to be brought back to NJ. We assisted with cross docking and distribution for sites here In NJ. Below is a little bit about One Eleven Logistics. 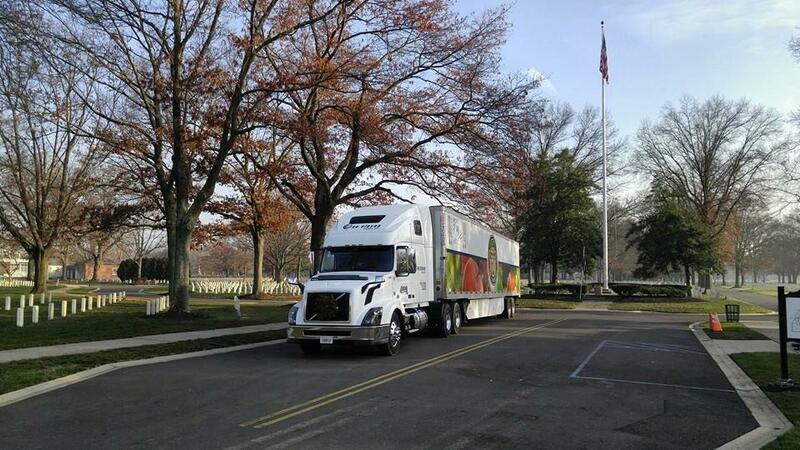 We are a small refrigerated carrier specializing in fresh produce based in Mount Laurel, NJ. We are running the most modern and efficient new trucks and trailers. We transport fresh produce from the local ports across the country as well as provide a reliable and timely service for our customers. We have a professional driving staff that is dedicated to making sure all shipments are delivered on time and are 100% FMCSA compliant. To be a first-rate business that is focused on its customers and total commitment to quality and services provided. To continue to produce results and succeed within the relentless challenges of our industry; enhancing our services each day.